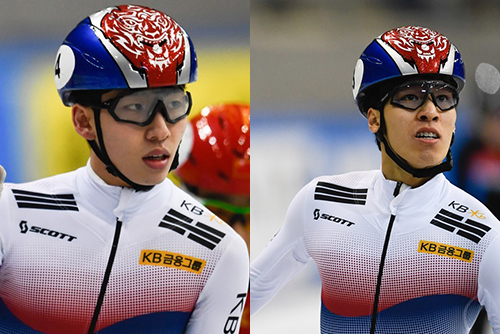 South Korea's men's short track speed skating team has sweeped individual titles at the International Skating Union's World Cup finals in Turin, Italy. Olympic champion Lim Hyo-jun won the gold medal in the 500-meter race Sunday, crossing the finish line in 41-point-314 seconds. His teammate Kim Gun-woo, who won the previous day's one-thousand-500-meter competition finished in second place at 41-point-666 seconds. Olympic silver medalist Hwang Dae-heon, who had won Saturday's 500-meter race grabbed his second gold medal in the one-thousand-meter competition Sunday with a time of one minute and 27-point-257 seconds. In the women's individual events, Olympic champion Choi Min-jeong won the silver medal in the one-thousand-meter event, finishing the race at one minute and 32-point-814 seconds.